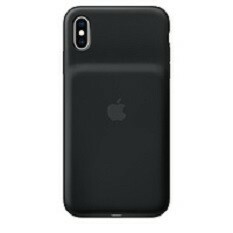 Apple has posted sales pages for new Smart Battery Cases. These products have been designed for the iPhone XS, XS Max or XR, and are available in white or black. Apple claims that they can deliver up to 9 hours of additional active screen use. Apple has finally refreshed its Smart Battery Case series for 2019. They are now compatible with either the iPhone XR, XS or XS Max, and are available in black or white color options. The new generation of battery cases are finished in silicon, without the leather option suggested in an earlier leak concerning these products. Apple claims that these new offerings can prolong phone life (while using the internet) by as much as 9 hours for the iPhone XS Max, or 7 hours for the XS or XR. The cases for the two more premium devices have been found to deliver 1,369mAh in total, but this figure remains unknown for the XR-compatible version. They have been reportedly designed with 1 more cell and higher-quality batteries than their predecessors, meaning that they may deliver more watt-hours than before. The new Smart Battery Cases can also be charged using USB-Power Delivery bricks. Contrary to previous rumors and renders, all three models resemble those from the last generation, which were compatible with the iPhone 7 line. They have a profound 'hump' starting from just below a phone's camera to just above the bottom edge of its rear panel. Apple has indicated that they may be capable of charging wirelessly with a software update. This news may be a source of consternation for those who still own an iPhone X. However, Rene Ritchie, iMore's editor-in-chief, has reported that the XS' Smart Battery Case also fits this device, and may charge it. It should be noted, however, that an iPhone X will still show a non-compatibility notification if it is placed in such a case, and that some of its features, including the speaker grille, will be occluded. The new Smart Battery cases cost US$129, regardless of applicable phone model, and are available in the Apple Store now.